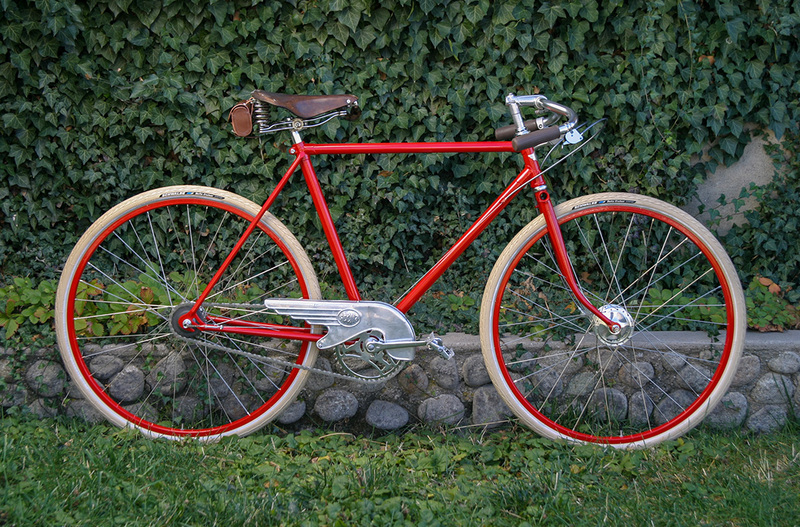 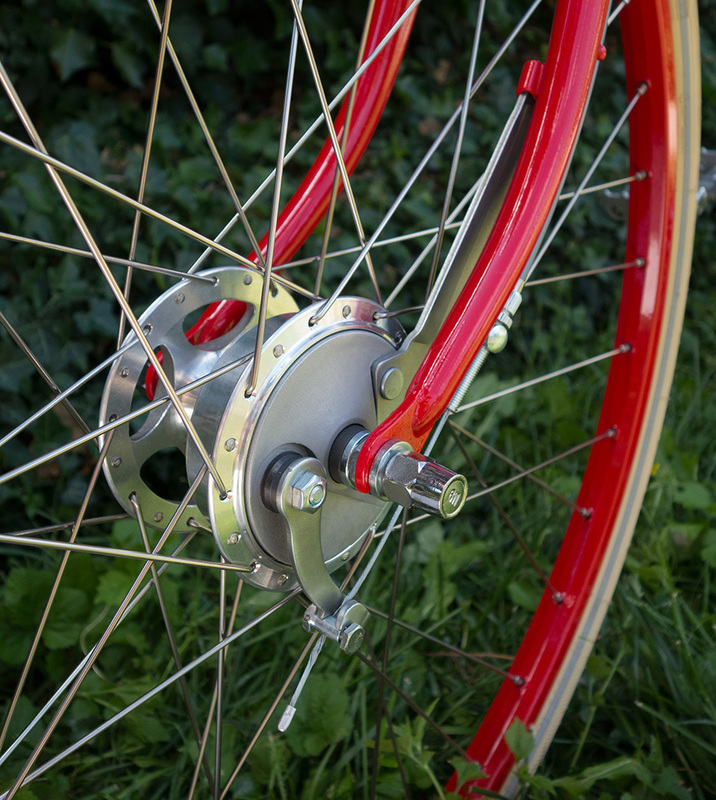 Three-speed bicycle inspired by early 1900’s board track racing motorcycles. 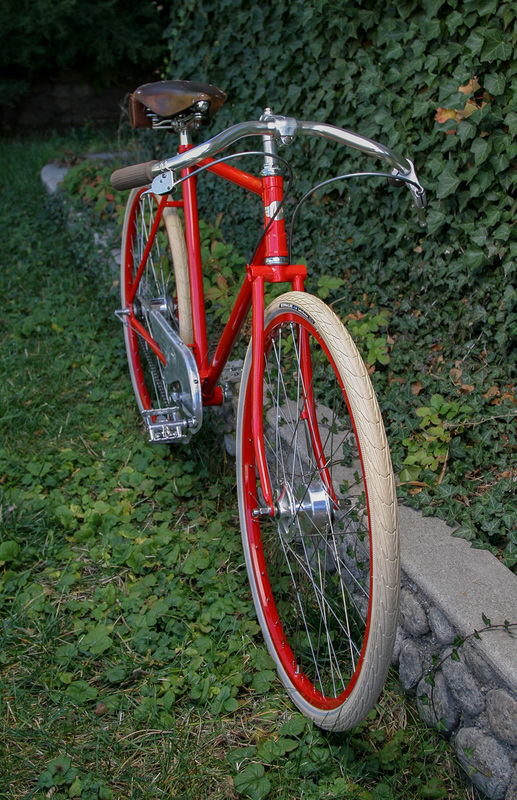 Built from a discarded 70’s Raleigh 3-speed bike. 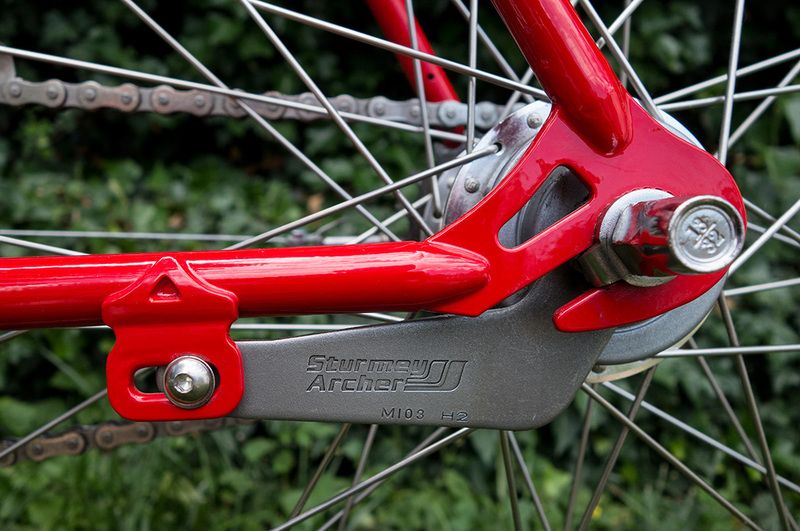 Only frame, crank, and seat were usable. 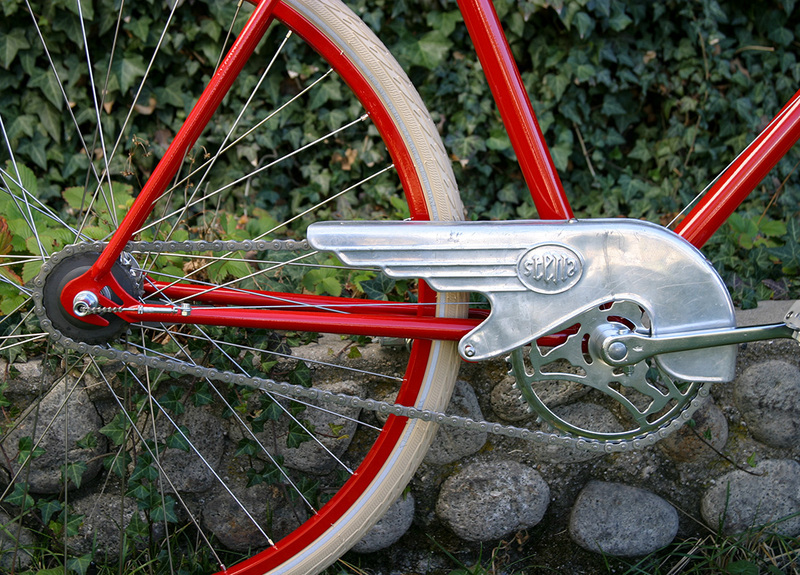 Chain guard is from a 1940’s Stella bicycle. 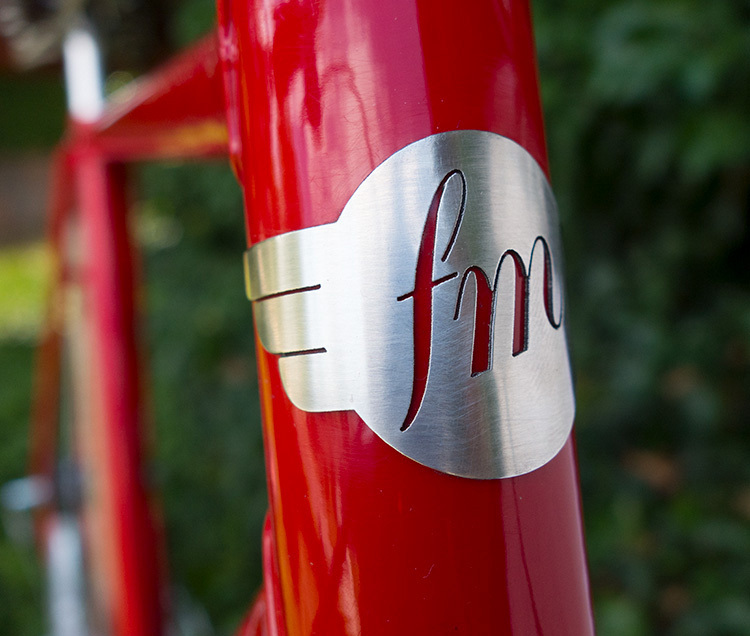 Winged head tube badge was laser cut from sterling silver.